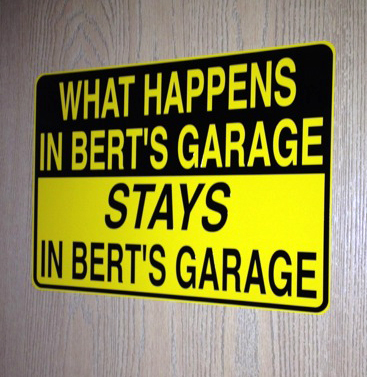 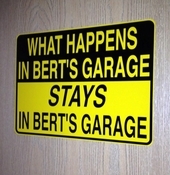 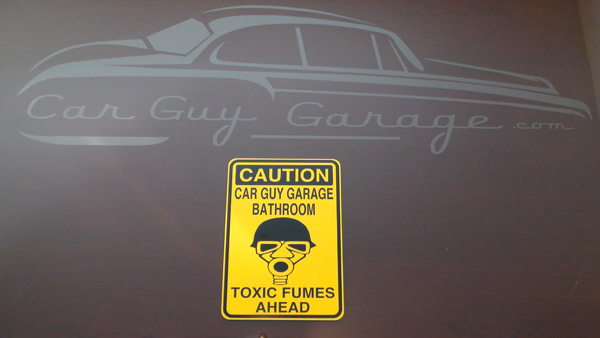 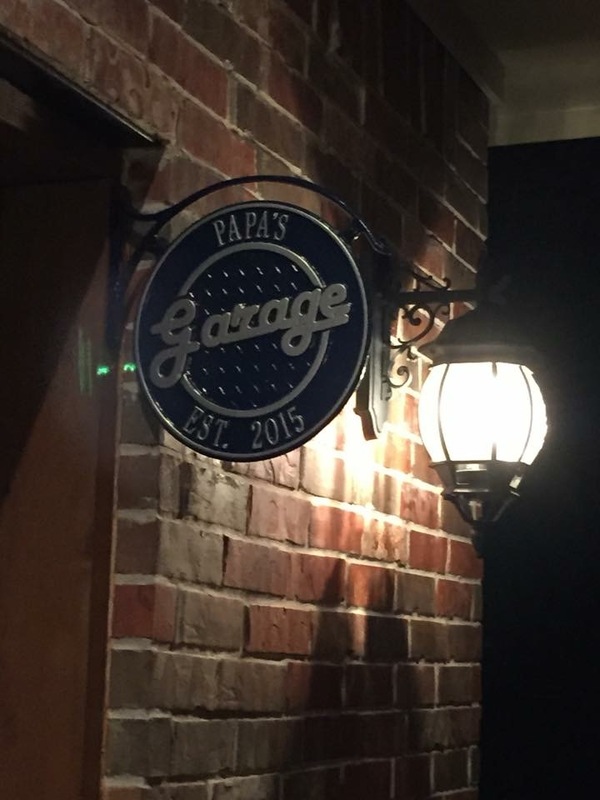 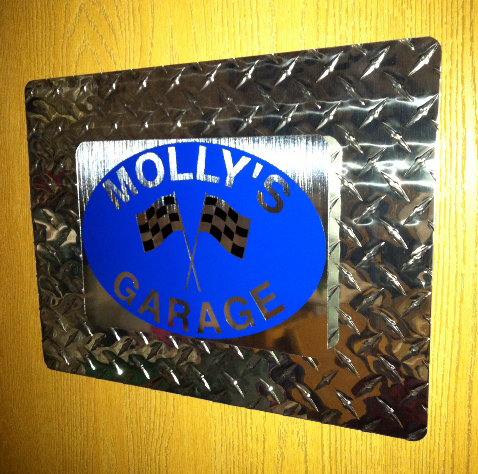 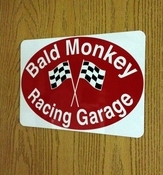 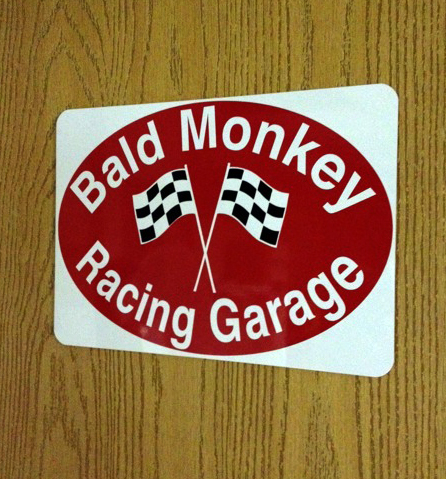 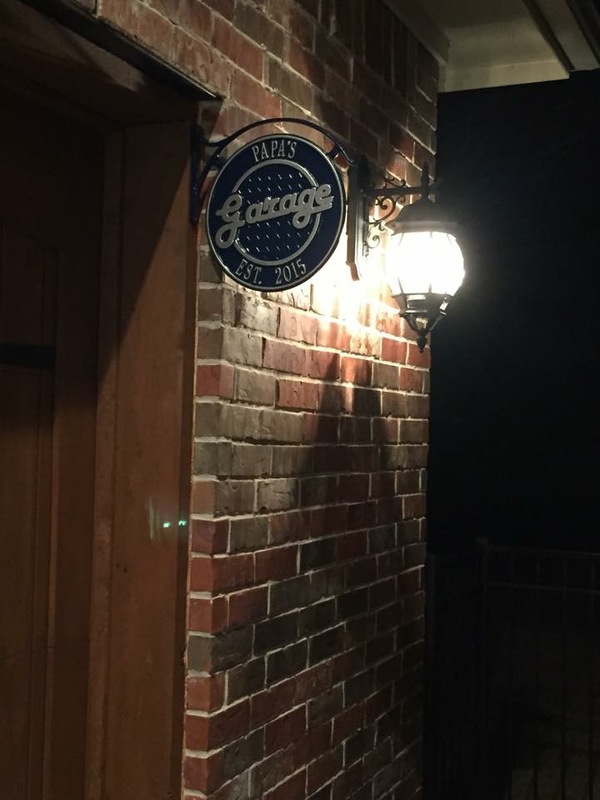 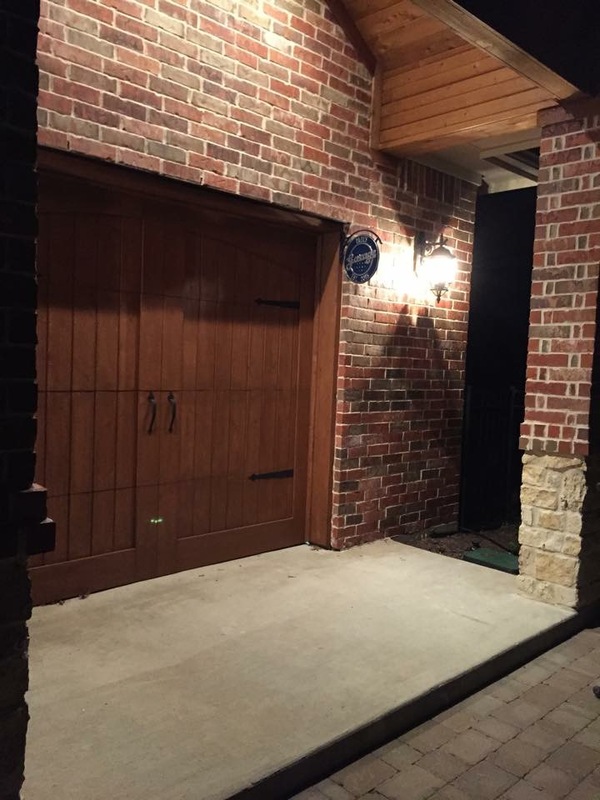 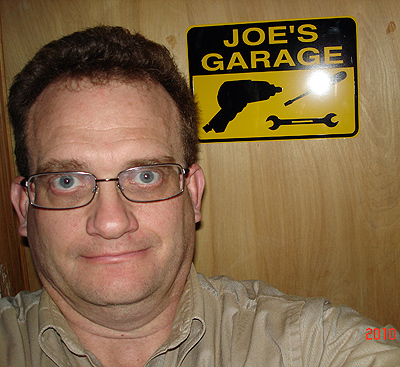 This is a great way to personalize your garage or shop, with a cast aluminum hanging plaque. 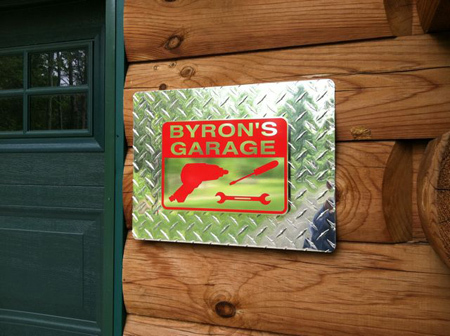 This comes with a highly durable all-weather finish for use outdoors or indoors. 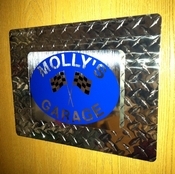 This mounts to the wall and displays outward showing the cast aluminum with your custom wording. 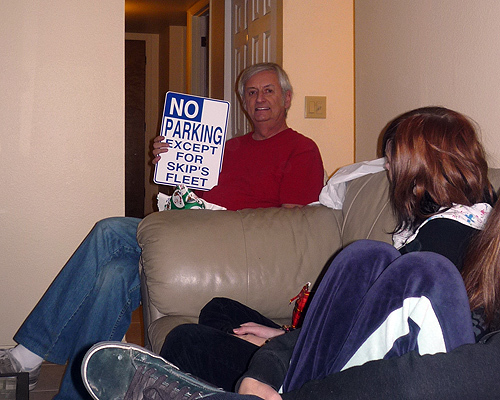 This also makes a great gift. Size 14.04" x 13.6" x 1"